Earth and budget-friendly plans are the same rate as non-renewable electricity. Purchasing green energy made from regional renewable resources like wind, hydro and solar is the easiest thing you can do to elevate environmental responsibility at your business. These resources are registered and have been qualified to meet local or regional Renewable Portfolio Standards. Beyond our renewable electricity offering, CN Brown Electricity consults with business customers like you on best practices that can be utilized to save your business money on its monthly electricity bills. *Due to current market stability, our renewable electricity is available at the same rates as non-renewable electricity. This could change in the future as the market fluctuates. What Changes Occur If I Switch? It is important to understand that if you switch to CN Brown Electricity you will not have to purchase or install any equipment or change any habits. You will continue to get a single, monthly bill from CMP or Emera Maine. One change you will notice on your bill is the name of the company supplying the electricity. CMP and Emera will continue to deliver the electricity to your home or business but the source or the supply of the electricity will come from CN Brown Electricity. You can enroll online or over the phone at (207) 739-6444. It is very easy and the whole process takes less than 5 minutes. Yes, there is no shortage of renewable energy and there will never be a shortage of wind, solar and hydro. With just these three resources electricity demand can be met without relying on traditional fossil fuels. 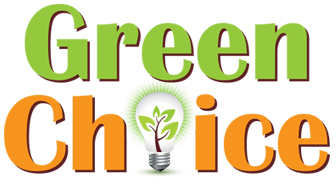 Can Commercial Customers enroll in to GreenChoice Energy too? Yes, if you are a small general service customer you can enroll just as residential customers do. We offer competitive rates for medium and large customer accounts. With a copy of your utility bill we can help you obtain the best rates possible on the wholesale market. Contact customer service for more details. How does GreenChoice Energy work? When you enroll with CN Brown’s GreenChoice Energy, we will purchase Renewable Energy Credits from a regionally based green energy facility. The credits purchased are 100% green renewable electricity made from wind, solar and hydro and are delivered to the regional power system. A Renewable Energy Certificate (REC) is a tradable, contractual instrument that represents the full suite of attributes of 1 Megawatt-hour of renewable energy generation on the electricity grid. RECs are the sole means to claim usage of grid-connected renewable electricity in the United States, and the compliance instrument for consumption- or delivery-based state Renewable Portfolio Standards. Renewable electricity generation and use are tracked through RECs, and so by matching RECs with your electricity service you are using renewable electricity. A REC represents the environmental benefits of 1 megawatt-hour of renewable electricity that can be paired with electricity. No. When you switch to CN Brown Electricity you will still pay only one bill as you do now. Notice that your current electric bill is divided into two parts; supply and delivery. When you switch to CN Brown Electricity you still write out a single check or make one electronic payment. A portion will pay for the supply of electricity used and the remainder will be kept by CMP or Emera Maine for the delivery of electricity to your house. How can I start saving money with CN Brown Company? Simply fill out the quick and easy online enrollment form. You will need a utility bill handy to reference your account number. Once enrolled, you will receive a Welcome Package with details on Big Apple Rewards Program, enabling you to save even more money. The welcome packet will include savings at Big Apple Stores and discount offers on heating oil, propane and kerosene. We invite you to SIGN UP TODAY with a company that can help you save on all of your energy needs! Will I still be a priority if power goes out and I purchase from another supplier? The responsibility of power delivery remains with Central Maine Power or Emera Maine. They get paid for the delivery of the power to you so it is in their best financial interest to get every resident supplied with electricity as soon as possible. If your power goes out you will continue to call your utility company as you have done in the past. For your convenience CMP can be reached at 800-696-1000 and EMERA at 800-440-1111. Does everyone on my street or in my neighborhood need to sign up with CN Brown Electricity in order for me to get the savings? No. Any resident that signs up with CN Brown Electricity can save money on heating fuels and other products offered by CN Brown Company. This is not a pyramid scheme where you save money when you get others to sign up. You can experience a competitive rate without any referral. What if we change our minds and want out? You will have five (5) business days to rescind the contract once enrolled. If you decide to cancel after the five day rescind period you may be charged a $100.00 cost recovery fee. The term of your guaranteed fixed rate is stated in your terms of service document in your welcome package, and is also stated on the website when you enroll on line. The rate for your contract is fixed, so you won’t have to worry about prices going up within your contract term. I am involved with energy efficiency programs with my utility. How will this affect them? Switching to CN Brown Electricity will not interfere with any energy efficiency programs that you have entered into with your local utility. What if I am on a flexible or late payment plan, will this affect my bill? If you are on a flexible or late payment plan please contact us before you make the switch. Because of the manner in which payments are applied to toward the supply portion of your bill, it may not be a good time to switch if you owe more than your current bill. What if CN Brown Electricity stops supplying my power? Your electricity would keep on running and you would instantly revert back to your utility’s default electricity service. In 2000 the federal government enacted a law that forced the local electric utilities to allow other electricity suppliers to carry power over their lines, thereby creating a competitive environment. This gives consumers the option to select an energy supplier of your choice and potentially lower your supply costs. There are now 17 de-regulated states including Maine. Now you have a choice! If you are going to relocate contact CMP or Emera Maine and request a “Seamless Move.” This will ensure that CN Brown Electricity will remain as your electricity supplier. If you are unable to obtain a Seamless Move please contact us as soon as possible to re-enroll. Please contact our customer service if you have any questions regarding this process. Can you help Commercial Customers save too? GreenChoice electricity plans are available at the SAME RATE as our non-renewable electricity.